Hans Pagel has been a Rummelburg resident since 2007. He is very active in the community and is involved in the discussions about the local area, particularly the ‘An der Mole’ proposals. ‘An der Mole’ is the remaining part of Rummelsburg still to be developed and plans are now going though the city and local government procedures. The residents are not happy with the official plan because it does not preserve enough of the present biodiverse green space, allows traffic into the area and could be much better designed to reduce noise from nearby busy roads and railways. They have proposed an alternative that takes these factors better into account. Hans, and colleagues, are currently arguing the case with officials, politicians and developers. We met Hans to ask him about Rummelsburg and its soundscape, what he appreciates about the area and how the ‘An der Mole’ discussions are going. 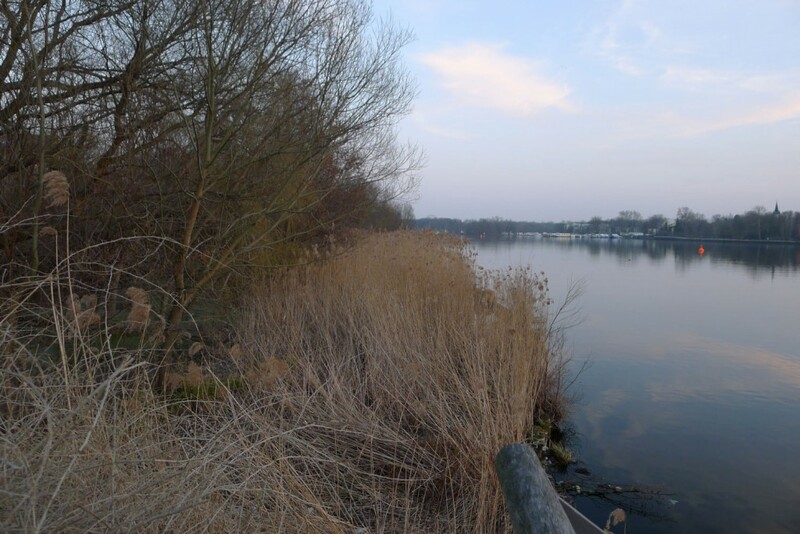 One of the Rummelsburg’s most notable features is its biotope (nature reserve) – a strip of mature woodland alongside part of the water’s edge of Rummelsburger Bay. It has been there at least a century with some trees 200 years old. It is particularly biodiverse for a city area attracting many woodland and water birds, frogs and a good variety of insects. There are also signs of beaver visits. Its rich bird song and insect life contribute noticeably to the Rummelsburg soundscape, especially in spring and summer, as do the varied leaf and tree sounds throughout the year. The biotope has been controversial. During planning it was under threat of destruction to make way for housing up to the river’s edge and later, when saved, people asked why a fence had been erected to restrict access to it. Dirk and Ariana Steinsmeyer are Rummelsburg residents, who have long been active in environmental and wildlife issues. 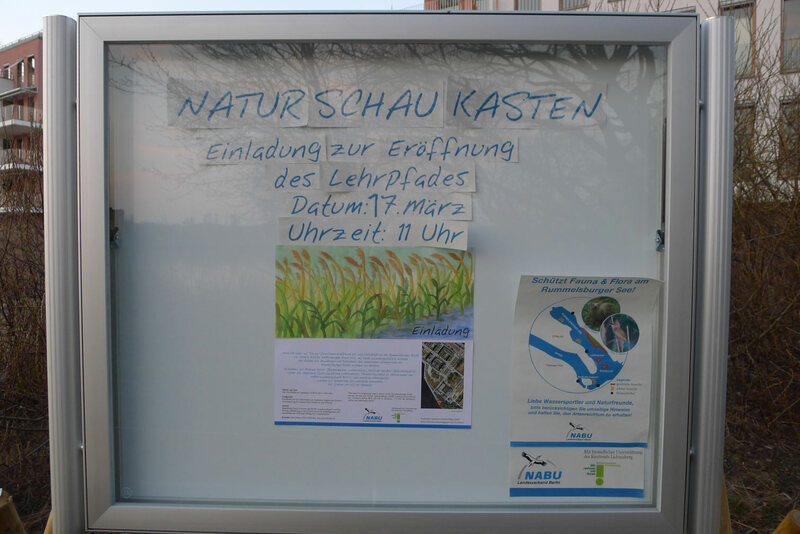 After moving there Dirk set up the Rummelsburg branch of NABU – Naturschutzbund Deutschland (Nature and Biodiversity Conservation Union – the largest environment association in Germany) – that now takes responsibility for the biotope. 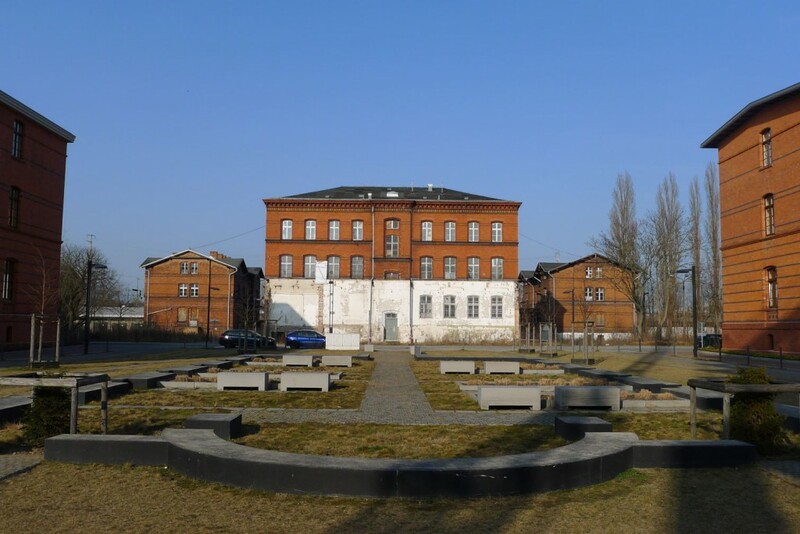 During 2011/12 artists Petra Kübert and Eva Kietzmann work extensively in Berlin’s Rummelsburg area researching its history and speaking to many people connect to the place – present day residents, architects and former inmates of the detention centre there. Their project was exhibited under the title of ‚after the butcher’ from December 2011 to January 2012 (http://www.after-the-butcher.de/35_Kietzmann_Kuebert/de/index.html). Rummelsburg has totally transformed in the last decade. 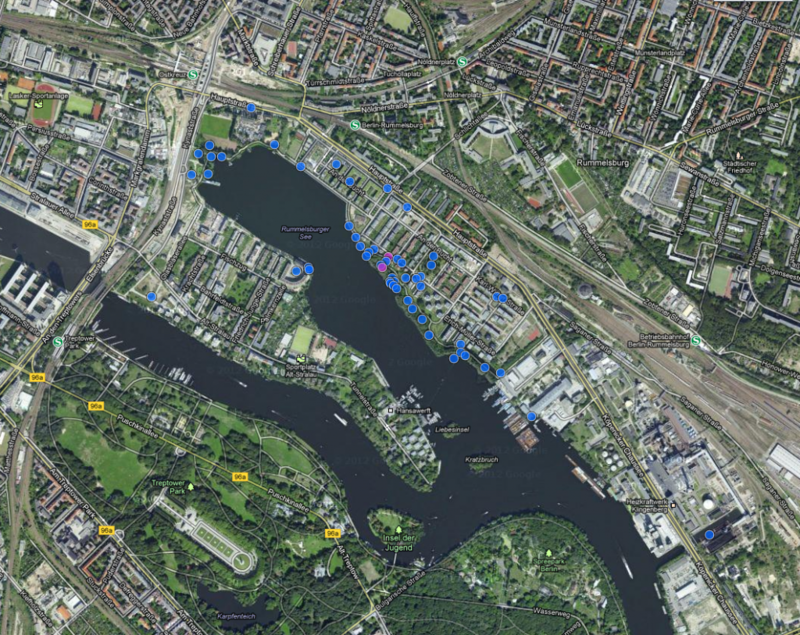 Today it is a growing residential community beside the Rummelsburg Bucht. Yesterday it was an industrial, workhouse (1859-1949), NS-workhouse (1933-45) and prison (1951-90) area with its own special, and darker, past. Tobias Trommer lives in Stralau and has known the Ostkreuz, Rummelsburg, Stralau area from an early age. He is a trombonist and is very active in the community, involved in discussions about the local area, new building planned there – particularly the An der Mole proposals – and in the anti A100 campaign. (The A100 is Berlin’s new motorway extension that would run towards Ostkreuz and greatly increase traffic, and noise, in the area. 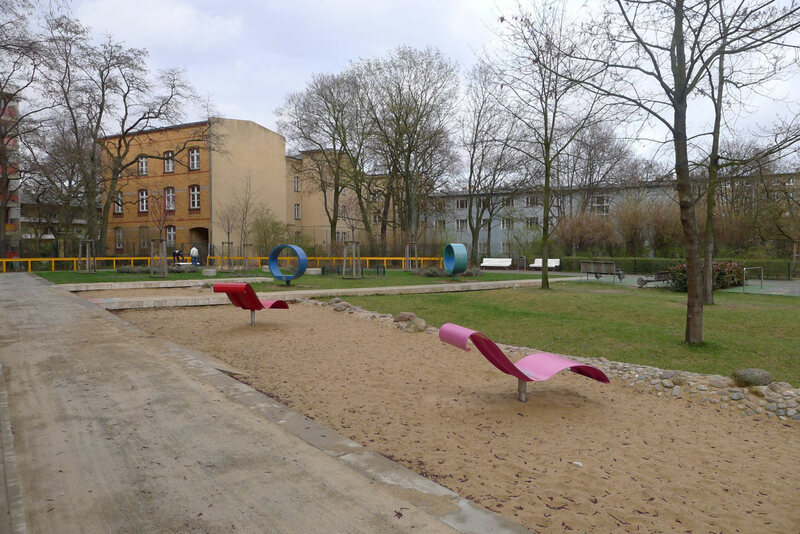 It is one of the most controversial developments in Berlin; the opposition is high profile). We met him to discuss his memories and views on the Rummelsburg and Stalau soundscapes and to find out what part ‘sound’ played in any of the planning discussions that he is taking part in. Dr Brigitte Schulte-Fortkamp is professor of Technical Acoustics at the Technical University, Berlin and 2011-2012 vice president of the Acoustical Society of America. She has long been an advocate for the idea of ‘soundscape’ as a way to understand our sound environment in contrast to the, until recently, more commonly held view (in official circles) that regards ‘noise’ as the only issue. The main focus of the interview is the Nauener Platz redevelopment in Wedding, Berlin, which Dr Schulte-Fortkamp headed in collaboration with the Regional Office Berlin-Mitte. Beyond it’s significance locally, it is one of the very few examples (worldwide) where soundscape ideas and attention to the acoustic environment have played a major role in planning and design. Rarer still it has actually been built and people can experience for themselves how the ideas work in practice. One of the main sonic features at Nauener Platz are the ‘audio islands’. These are benches or other seating designs where loudspeakers quietly play sounds of a shingle beach, city and forest birds into the urban environment.